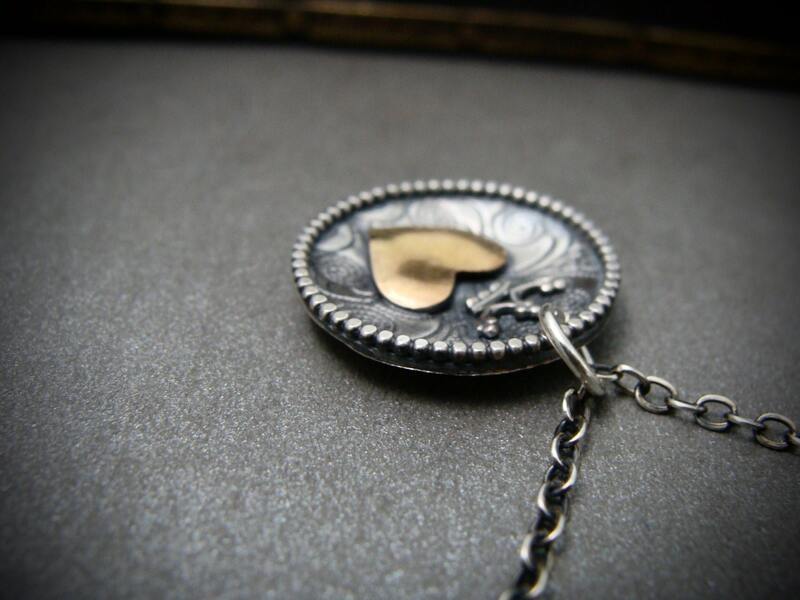 This delicate 14k gold filled heart has been hand cut and place in the center of a delicately pattered disc. 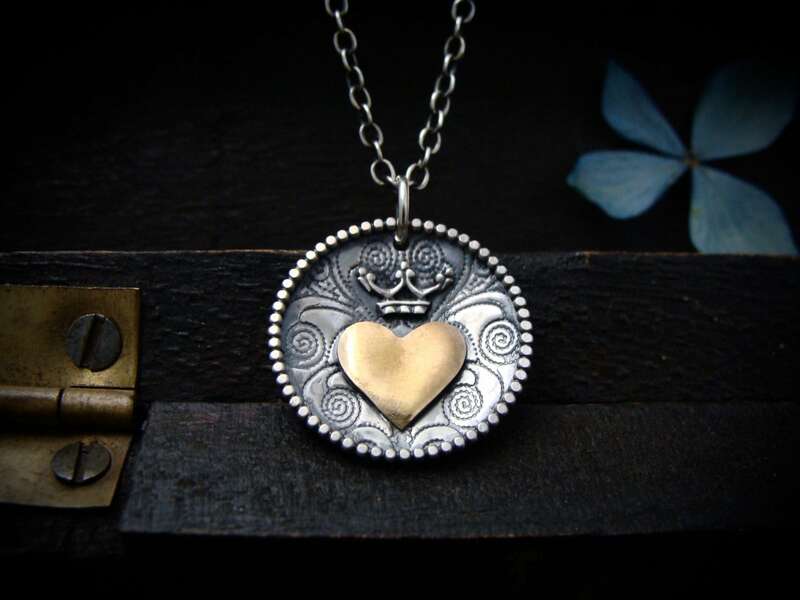 A tiny crown rests atop the shining golden heart. 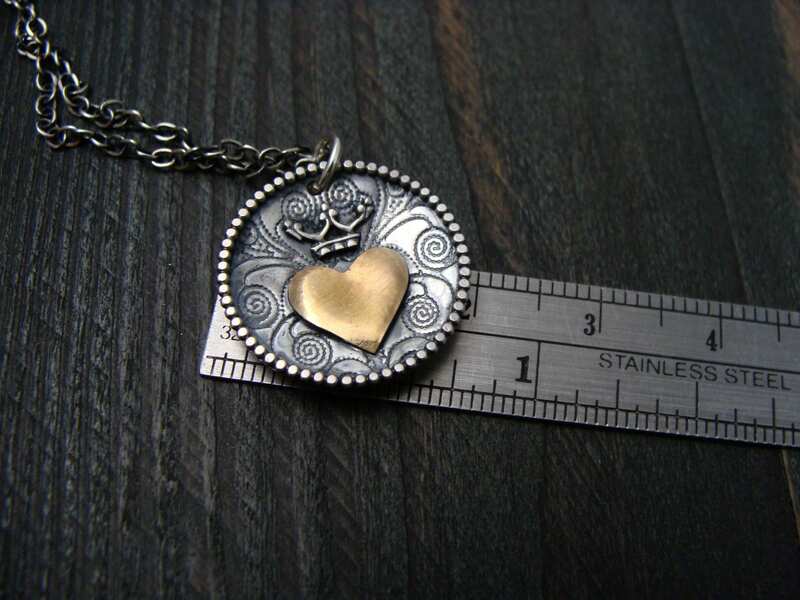 The pendant has been given a subtle dome to protect the heart. 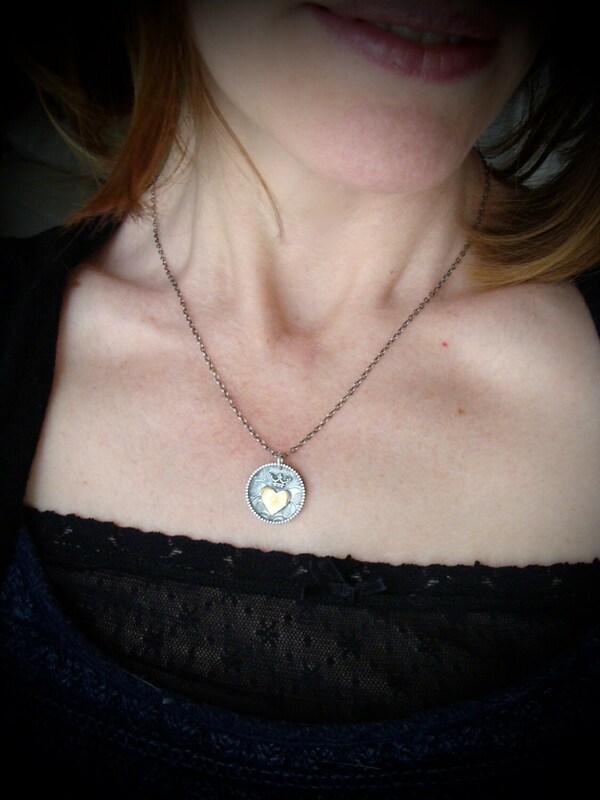 A border of tiny beads accent the pendant. 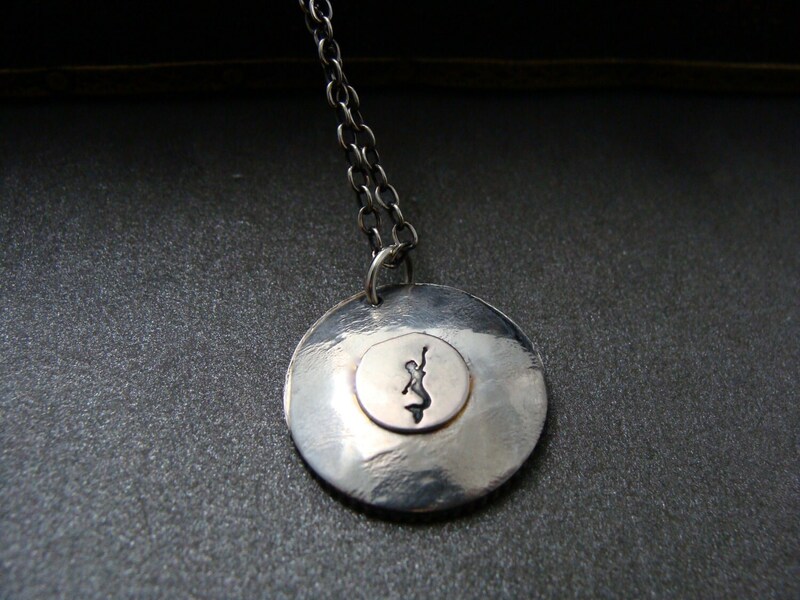 The flip side of the pendant has a one of my tiny sirens. You can wear the pendant either way. ☞ Each pendant is made my hand. Expect slight variation.